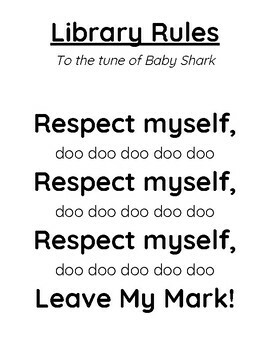 This is a song, sung to the tune of Baby Shark, that I use for the rules of the library. We read the book, Exclamation Mark, by Amy Krouse Rosenthal. 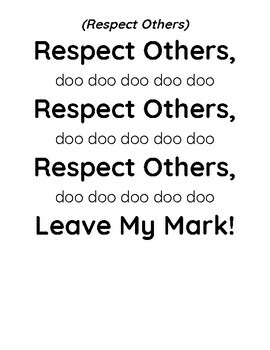 Key take aways: how the main character leaves his mark after finding his voice. 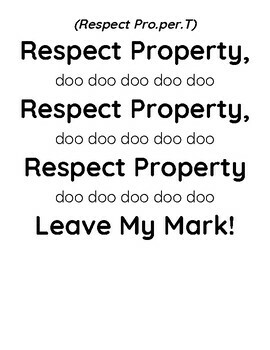 We leave our marks and we follow rules. The rules to my library are simple but very powerful. 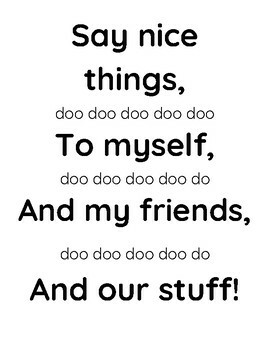 You may put this on the Elmo projector and at the same time, find the karaoke version of Baby Shark, so the students can sing along.